Tagged with myFO, crochet, yarn. August 22, 2015 by Kathleen Conway. 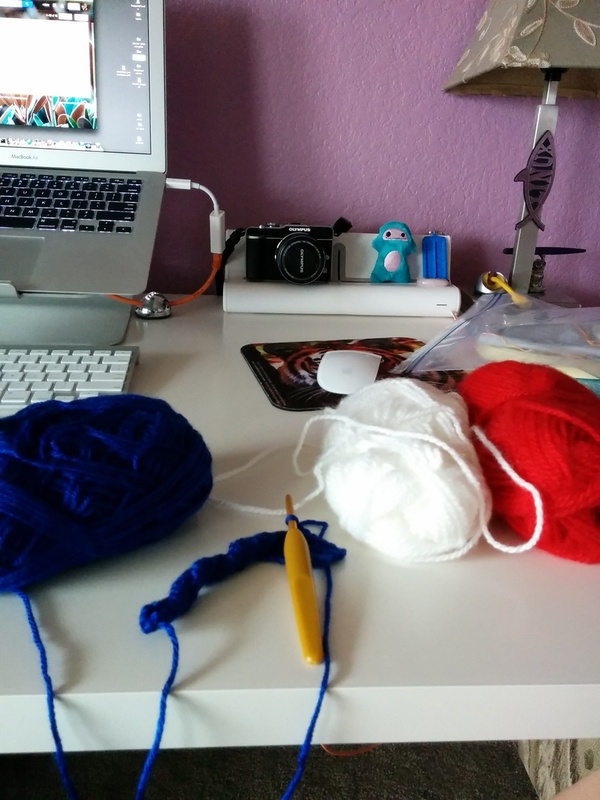 I am trying to work through my stash and project backlog.... 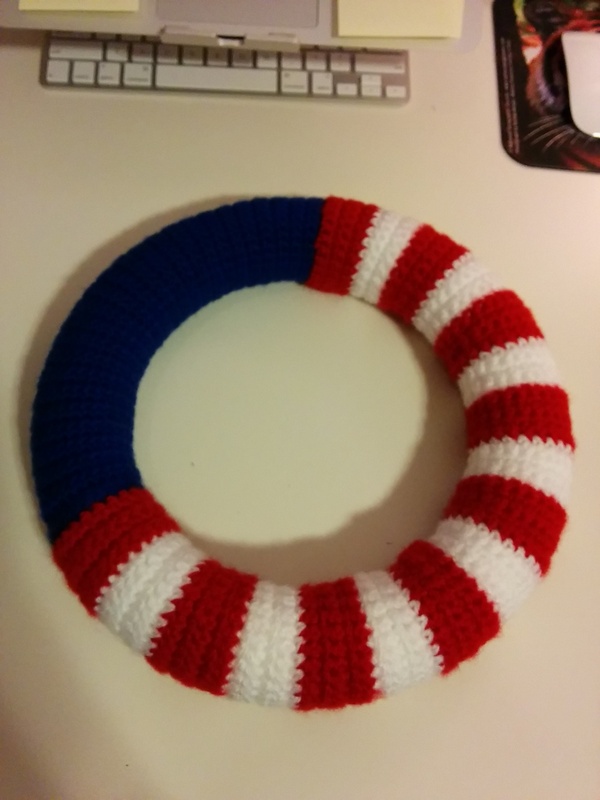 This project came courtesy of Eli leaving me a styrofoam wreath and the left over yarn from the captain america hat. 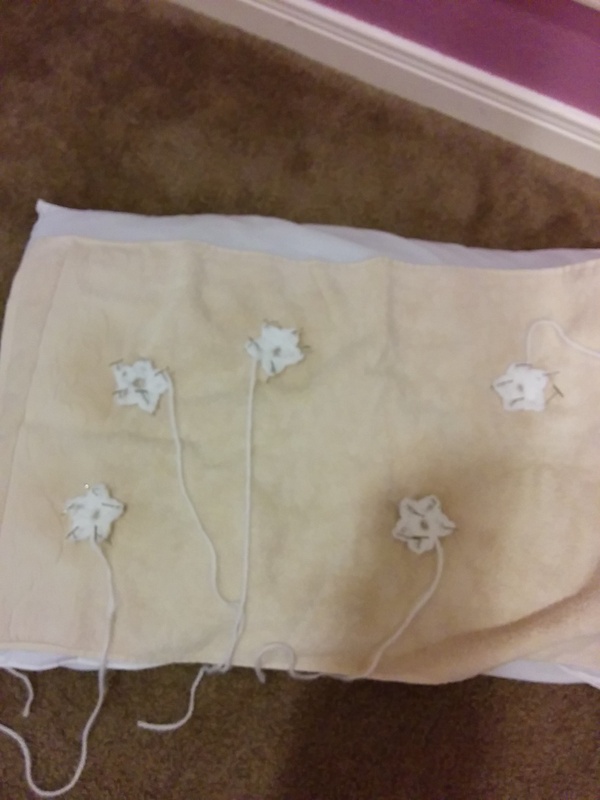 I made it for my mother-in-law. June 30, 2014 by Kathleen Conway. This is one of my favorite patterns. The purple one is arguably my favorite amigurumi project. 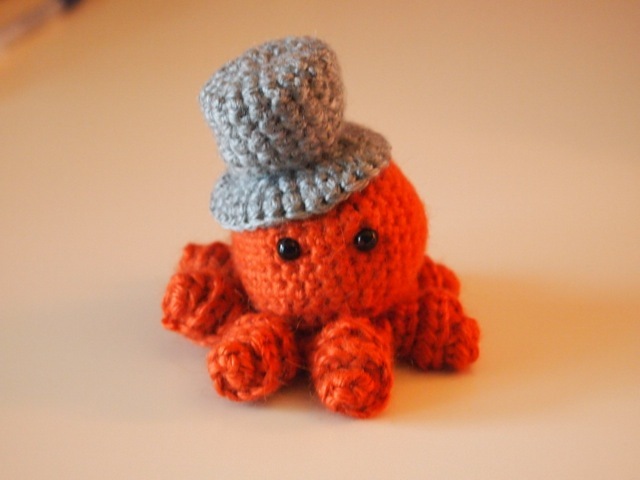 The orange one I just finished for someone else. 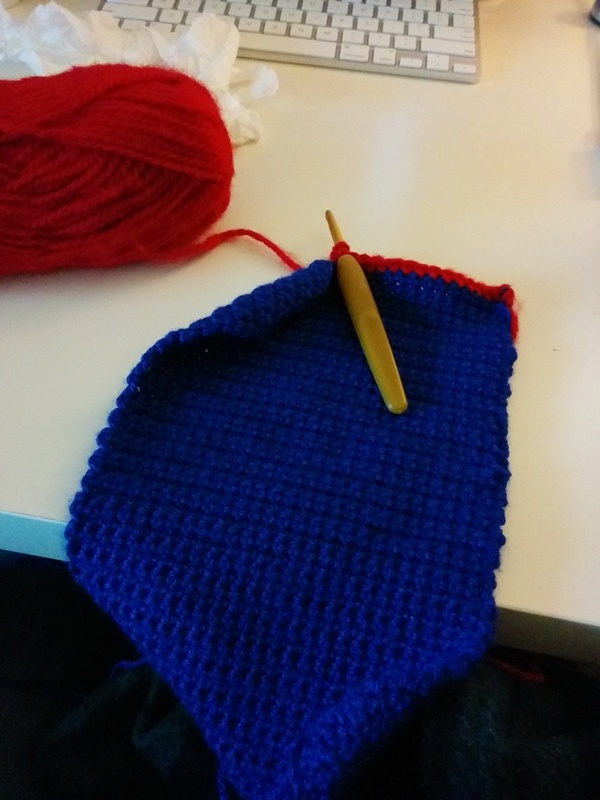 I love to see the difference in hook size and yarn type when using the same pattern. 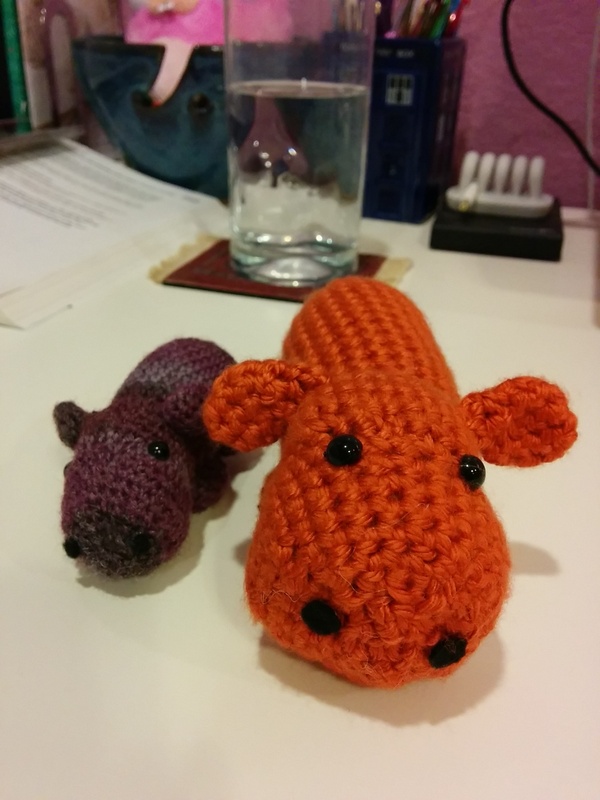 the Orange hippo is made out of red heart soft and purple is sock yarn. Tagged with yarn, crochet, amigurmi, myFO. May 18, 2014 by Kathleen Conway. 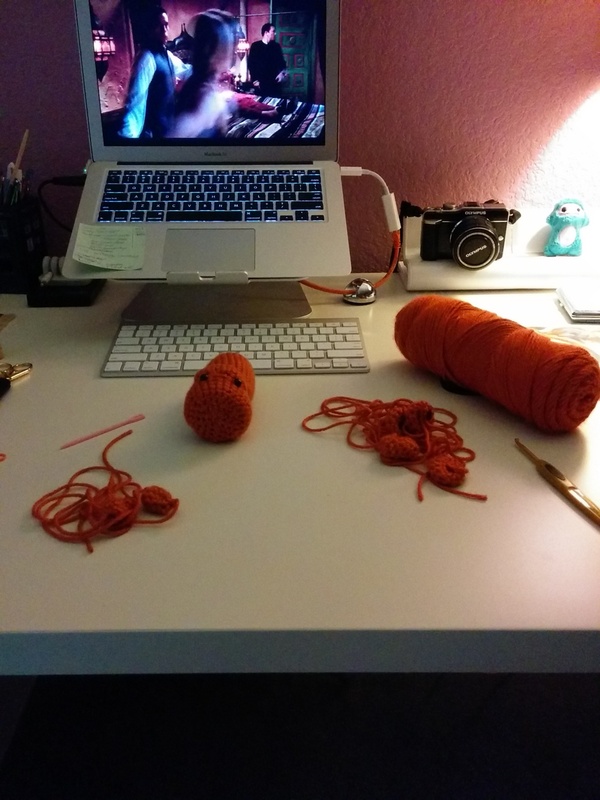 I started out making one octopus from a pattern I found on ravelry. 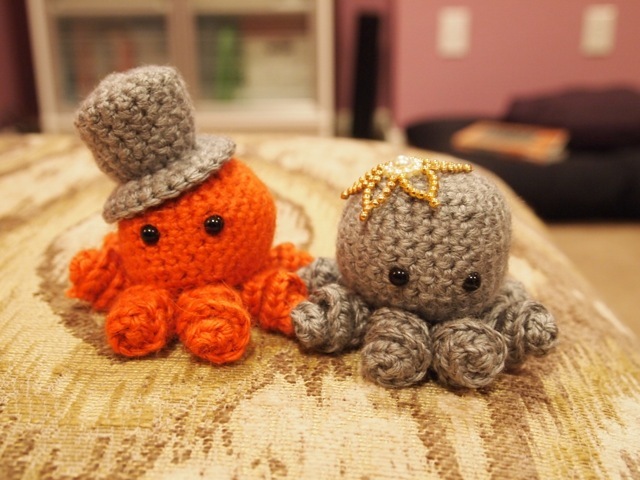 I had so much fun with the curly tentacles I decided to make an entire family (orange ones) and named them (Clive, Martha and Abigail). 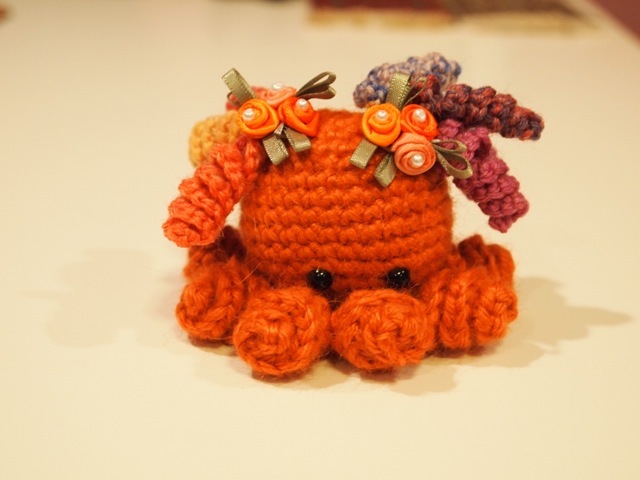 I added curls to the little girl octopus. and lowered her eyes to make her a little more shy. 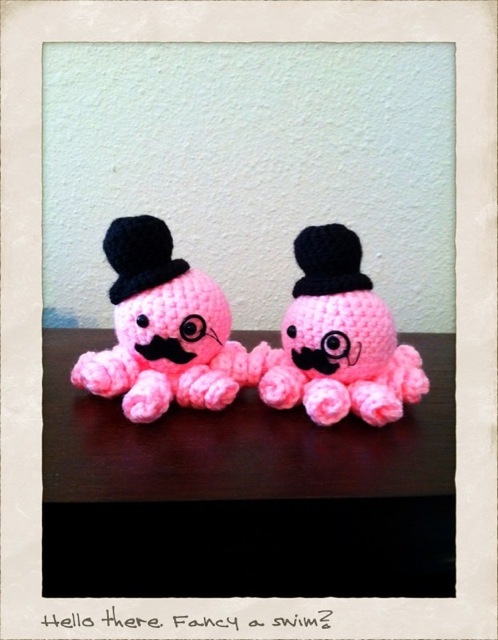 I also made a few by request (the two pink ones) and LOVED that she added monocles to each of them. Tagged with amigurmi, yarn, crochet, myFO. July 9, 2013 by Kathleen Conway.